I have had a number of requests from my readers for more information regarding the Ngải plants and where to find it. At first, I was hesitant to publish this information because it is not particularly innocuous information, and in the hands of the uninitiated, it could prove to be harmful. However, after much consideration, I feel that the freedom of information exchange will promote continued transparency and accessibility to a subject that has been for so long, suppressed and demonized. The Autumn Crocus is but one of the many varieties of Ngải plants, and it is the most accessible. Aside from the uncommon fact that they are hardy and grow best during the frigid season when most flowers die or are dormant, autumn crocuses are quite beautiful, and will continue to grow, season after season, as long as their bulbs are healthy and cared for appropriately. Many people have this plant growing in abundance outside their homes without even knowing of the possible otherworldly and abstruse connections. Indeed, without a Master to infuse a spirit into the crocus, it remains a rather innocuous flowering bulb with little if any power, other than to charm and enchant a household garden with its beauty. The Autumn Crocus comes in many colors, but for the purpose of Ngải cultivation, the most powerful is the white crocus. Second is red, then yellow, and the least powerful (also most commonly found in the USA) is the lavender variety. Many companies sell the bulbs themselves, and while it grows in most soils, if you want a magical Ngải crocus, the soil must be prepared specifically for the purpose. 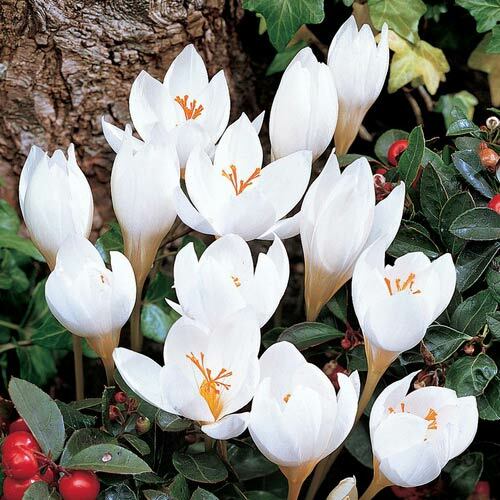 Regardless whether you grow the plant for magical purposes or just as a beautiful floral addition to your winter garden, it is worthwhile to check out the Autumn Crocus Ngải and all that it has to offer. Imagine what could be done with intentions of blessings. Regardless of intention, Ngai is a form of enslaving sentient beings from another realm. That enslavement can be either voluntary or involuntary, but it is still enslavement. From their perspective, they have bartered their souls to the devil (a human who has the knowledge to enslave them), and must now serve out their terms. For some, since they had been taken as babies, they know of no other existence but to serve as generational slaves. This is especially heartbreaking because even dark spirits have their place in the grand scheme of the Universe. They were, after all, created by the very same forces that created you and me. Even they have the right to exist and do what they were designed to do, when viewed through the grand scope of the Universe. To revile them or use them and give them no compassion is to go against what Taoist Masters have, time and time again, tried to explain to us. Light and Dark support each other. They are equal and opposites of the same coin. Hey there Tao Babe! I have questions of ngay, may I personally contact you?